Bluebird AR is a serious alternate reality drama created by the Innovation Department at the Australian Broadcasting Corporation (ABC). The project was the first ARG in the world created by a broadcaster that wasn’t linked to a television show. The subject matter was concerned with geoengineering, and involved real world experts in consultation during development and in public when the project was live. The project combined online, mobile, live events, TV, radio, and billboards over 6 weeks.I was a Transmedia Story & Game Advisor, brought in to consult with the writers, designers, programmers and marketing department during the development and production of the project. Conspiracy for Good is a branded entertainment alternate reality game for “social good”. It was created by Tim Kring (USA), The company P (Sweden), and Nokia (Finland). The global alternate reality drama combined online, mobile, video, live events, billboards, newspapers over 5 months+.I was a Transmedia Analyst on the project, brought in by Nokia to assess the early designs by Tim Kring and The company P. On site, I assessed the design, liaised with marketing, legal, and business departments as well as sub-contractors. I provided a report on recommendations for the design and production processes at Nokia. The Hunt is a serious alternate reality game (ARG) created by No Mimes Media (USA) and Juxt Interactive for Cisco in 2010. The ARG was commissioned by Cisco to teach their global sales force about their new technologies in an entertaining and compelling manner.The global ARG combined online, mobile, live action, and live events over 2 weeks of action. 9,000 players joined in from the Netherlands, Japan, China, India, Australia, Canada, UK, and Singapore. I was Co-Experience Designer and Co-Game-Master for No Mimes Media, working alongside Steve Peters, Maureen McHugh, Jonathan Waite, Dee Cook, Celina Beach, and many other talented folks. 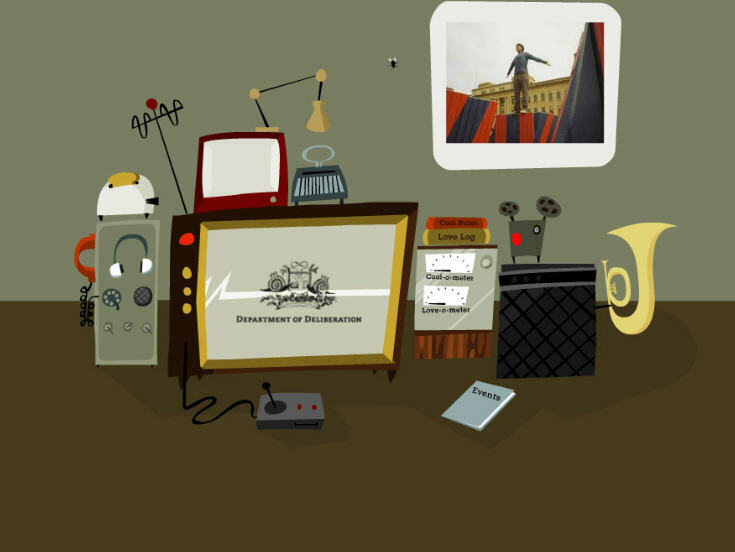 Love Referendum is an alternate reality game (ARG) created by Tallstoreez for the 2008 Adelaide Fringe. In combined video clips, postcards and a website. The story was concerned with Adelaide being in the grip of a potentially fatal pandemic called lovesickness. In an urgent call to action, the Department of Deliberation is conducting a statewide referendum in December 2007. It asked the public to decide whether they are lovestruck or lovesick. It was financed in part by the Arts South Australian Public Art fund. I was a story and game advisor on the project working onsite and remotely with Carl Kuddell and Jennifer-Lyons Reid. Hung-Long is an educational alternate reality game (ARG) commissioned by the Australian Film, Television and Radio School (AFTRS) to teach film and TV professionals about transmedia. It began 2 weeks prior to a industry residential weekend for the Laboratory of Advanced Media Production (LAMP), and culminated in a 4 hour live event at a resort in South Australia. It combined websites and live events. I worked as Co-Writer, Designer, and Game-Master along with Jackie Turnure. We researched the location, and surrounding culture of the Lab and weaved these into the storyline. 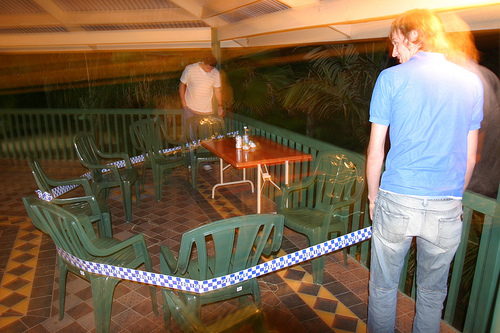 The participants were split into teams to research the murder at the location. 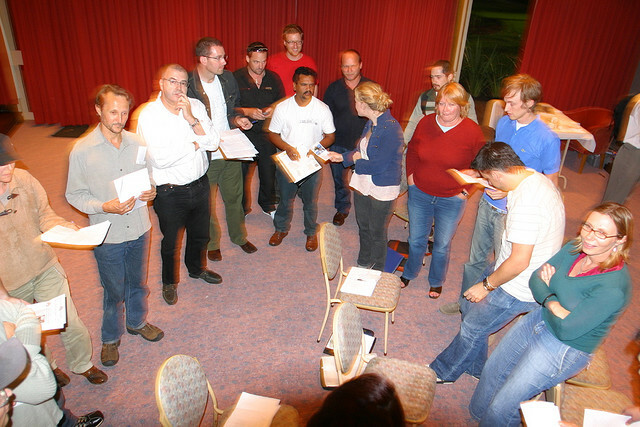 Each team had activities to undertake which revealed a different suspect. When the journalist was caught in a car accident, the teams had to debate together and determine who the killer was and then broadcast their findings to the (fake) public.